Real estate transactions are taking place all around you, all the time. When a commercial leasing company rents a space in a mall or the owner of a building rents an apartment to a retired couple, it's a real estate transaction. If an appraiser gives an expert opinion on the value of farmland or a bank lends money to a professional corporation to purchase an office building, it's a real estate transaction. Most common of all, when an American family sells its old home and buys a new one, the family takes part in the real estate industry. Consumers of real estate services include buyers and sellers of homes, tenants and landlords, investors and developers. Nearly everyone, at some time, is involved in a real estate transaction. All this adds up to big business-complex transactions that involve billions of dollars every year in the United States alone. The services of millions of highly trained individuals are required: attorneys, bankers, trust company representatives, abstract and title insurance company agents, architects, surveyors, accountants, tax experts, and many others, in addition to buyers and sellers. 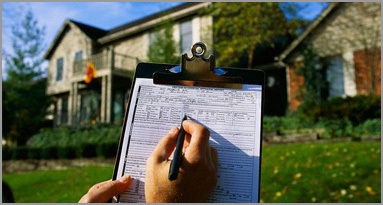 All these people depend on the skills and knowledge of licensed real estate professionals. Brokerage, appraisal, subdivison and development, property management, and home inspection are all separate businesses within the real estate field. BROKERAGE - Brokerage is the business of bringing people together in a real estate transaction. APPRAISAL - Appraisal is the process of estimating a property's market value, based on established methods and the appraiser's professional judgment. SUBDIVISION AND DEVELOPMENT - Subdivision is the splitting of a single property into smaller parcels. Development involves the construction of improvements on the land. PROPERTY MANAGEMENT - A property manager is a person or company hired to maintain and manage property on behalf of its owner. HOME INSPECTION - Home inspection is a profession that allows practitioners to combine their interest in real estate with their professional skills and training in the construction trades or in engineering. OTHER AREAS - There are many other real estate businesses and specialists in the real estate industry. Large corporations with extensive land holdings often have their own real estate and property tax departments. Local governments must staff both zoning boards and assessment offices. Other areas include, but are not limited to, counseling, education, and law. Our classes are taught with the appreciation of their importance and the efforts involved in obtaining the minimum educational requirements as established by the Connecticut Real Estate Commission. President, The Connecticut Real Estate Institute, Inc.